The Shoulder Sufferers — CitizenC. Throughout the years, contact sports have undergone numerous transitions in terms of safety. Improved padding, helmets, and safety instructions have drastically decreased the amount of athlete injuries. Things like concussions and brain damage have been the leading injuries for many years. However, individual athletic activities are very different in that they do not lend themselves to protective gear. In sports like running, swimming and field events, extra equipment works against the athlete, therefore, they have no protection against injury. This is one key factor as to why so many swimmers have shoulder injuries. Throughout the 2018-2019 season, three of Concordia’s swimmers became injured in their shoulders, a common but painful injury in the sport. Allison C., and Claire Z., have spent a majority of their season in physical therapy, doing continuous stretching, or kicking with a board in the pool. A shoulder injury, in this sport, can cost many athletes their careers. “Everything I did was painful and painkillers would no longer stop the pain, so I would just have to block it out,” Claire Z says. Her second season on the Concordia Varsity Swimming was a battle of her own motivation and the ever-constant pain in her upper left arm and bicep. 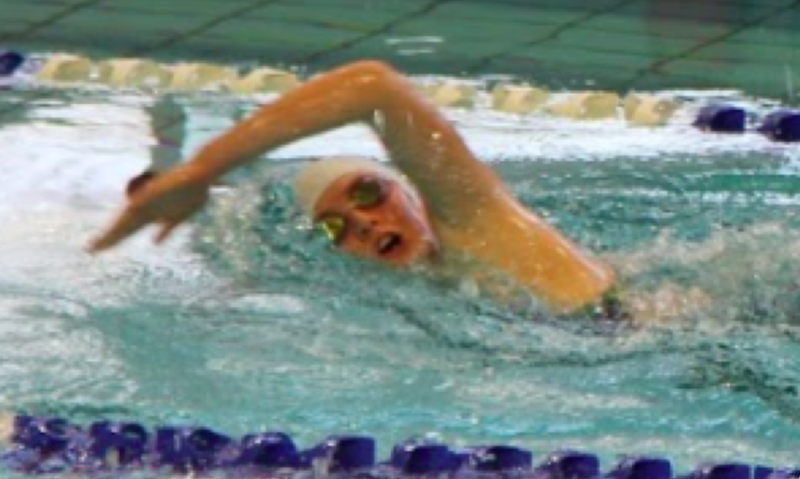 The shoulders and arms play a key role in a swimmer’s performance, as its one of two sources of forward propulsion. Many athletes will over rotate in the water, shifting their body too deep under the surface in some cases, the shoulders are overworked to make up for a weaker kick. Concordia’s swim team is predominantly experienced swimmers, so the chances of someone overworking their shoulders are quite high. Commonly found in swimmers and volleyball players are rounded shoulders, resulting in spine injuries. After MRIs, physically therapy, and medication Claire Z was able to compete in the APAC vs IASAS Championship meet at International School Bangkok, Shanghai Tri Meet at Shanghai American School Puxi (SASPX), China Cup, also at SASPX and finally APAC Swimming at the International School of Beijing. “APAC motivated me to overcome injury because I wanted to compete in competitions” Claire Z says. Similar to Claire’s situation, Senior Allison C. stands in a similar situation. Prior to the high school season, Allison had a similar injury. Despite the pain, she was able to modify her workout to a point where she could bear the pain but still improve in her races. “As a swimmer that has represented Concordia for ten years, I felt an obligation to try my best and continue to push myself despite the limitations my injury placed on me,” Allison says. Though she was forced to miss a few meets in order to be fully recovered for APAC, she still remained victorious in a series of races, following recovery. The motivation of Concordia athletes is strong. Whether they want to finish what they started, portray their badges on the back of their jackets, or to feel the thrill of competition, athletes of all kinds will go propel themselves through any obstacle thrown in their way.